A total of thirty seven World Traders and guests arrived at the offices of the London Stock Exchange in Paternoster Square. 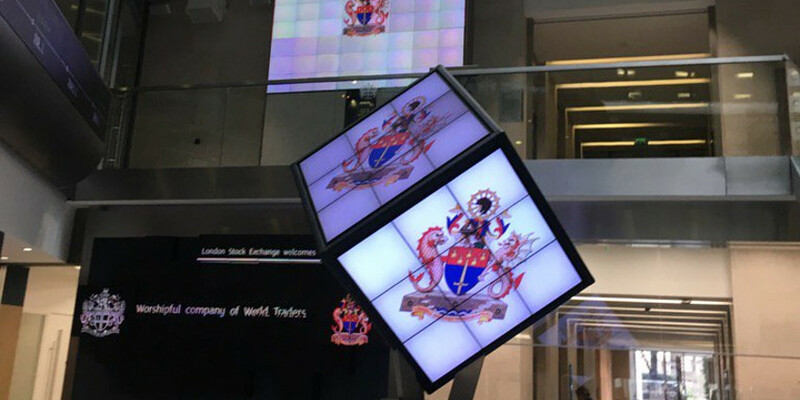 After negotiating the usual strict security we were greeted by the World Traders’ Coat of Arms and title revolving on the display console normally reserved for the LSE’s logo itself. It was a nice touch and was indicative of the care and consideration that was a feature of the rest of the visit. After coffee Doug Sheffield, a twenty five year veteran of the Stock Exchange, introduced himself. His enthusiasm for his subject was obvious from the outset of his presentation. He explained that the LSE has been in its present building for twelve years where three hundred people work on four dedicated floors. 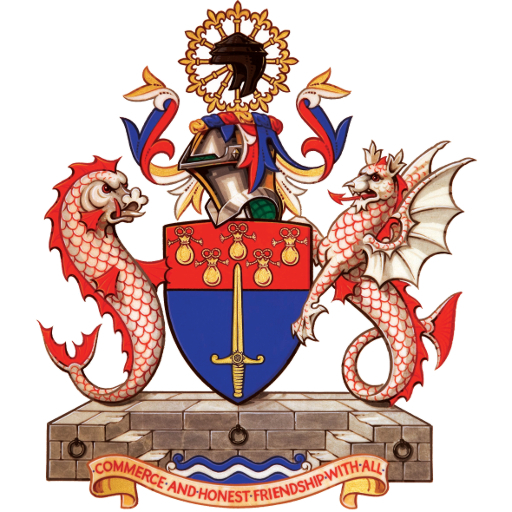 Globally the LSE employs a total of 3,700 across twenty four cities. Although the basic function of the Exchange – matching capital to investment opportunity by providing a market place for the buying and selling of equities – remained at its core, it continues to expand both its international reach and its product offering. Doug was justifiably proud to point out that fifty percent of capital invested came from international markets. It is his contention that London is the centre of International Finance whereas New York (which rivals London in terms of values traded) is the centre of United States finance. Doug could have gone on longer and members were not anxious for his talk to end but lunch beckoned. The always reliable Cote Brasserie in Ludgate Hill was up to the challenge of feeding and watering the World Traders who hungered and thirsted. It became clear that several of those present were not intending to return to their places of business in the afternoon thus upholding the fine tradition of Friday lunch in the City. All in all a successful visit much enjoyed by all.